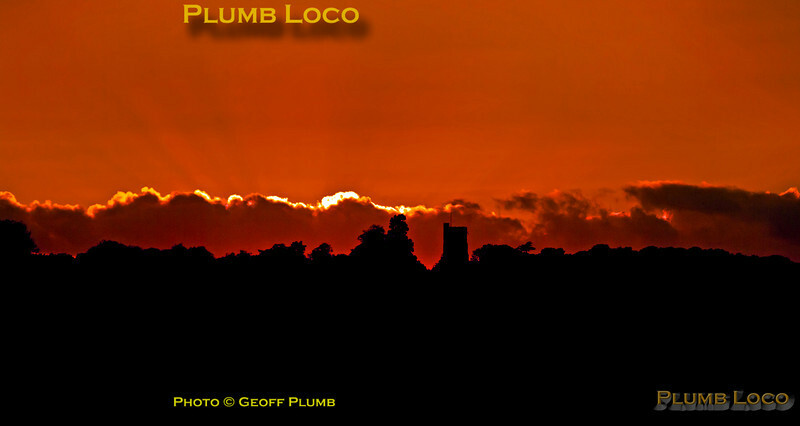 After seeing 46233 "Duchess of Sutherland" climbing away from Ridgmont station, the sunset became quite spectacular, this is the view nearby with the church of St. James at Husborne Crawley silhouetted against a glorious sky. 17:51, Saturday 20th October 2012. Digital Image No. GMPI12702.